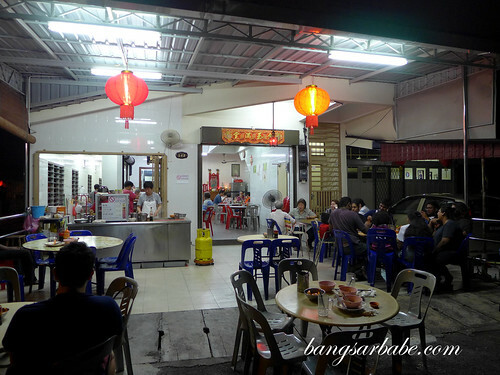 I learnt of this pretty good wantan mee stall in Buntong (Ipoh) from my brother in-law, who suggested we try it for dinner when rif and I were in Ipoh not too long ago. 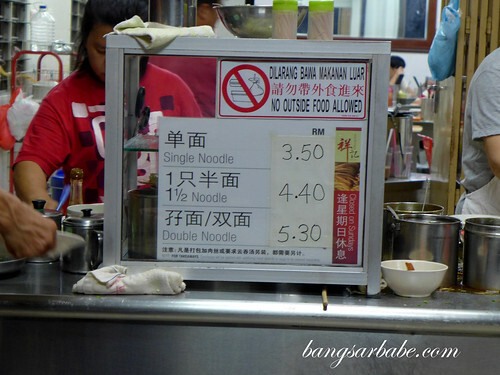 The stall is located in a residential area and gets quite crowded during peak hours – we waited a good 30 minutes for our noodles. 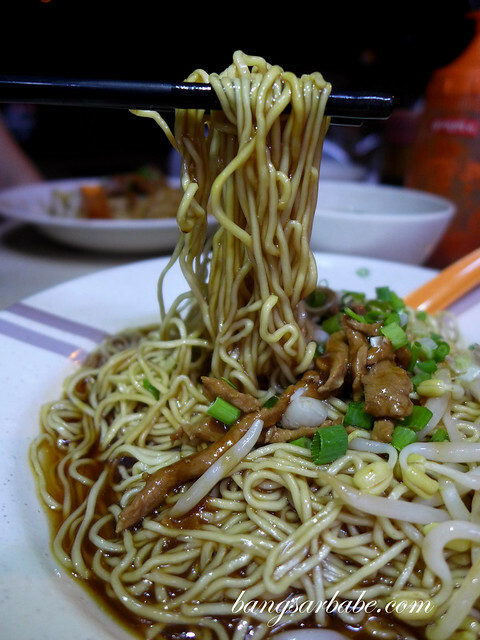 The noodles (RM3.50 – small, RM4.40 – medium, RM5.30 – large) were springy and tastier than your average wantan mee. I liked that there was no kan sui smell or taste in the noodles, which came topped with savoury pork slices and light gravy. 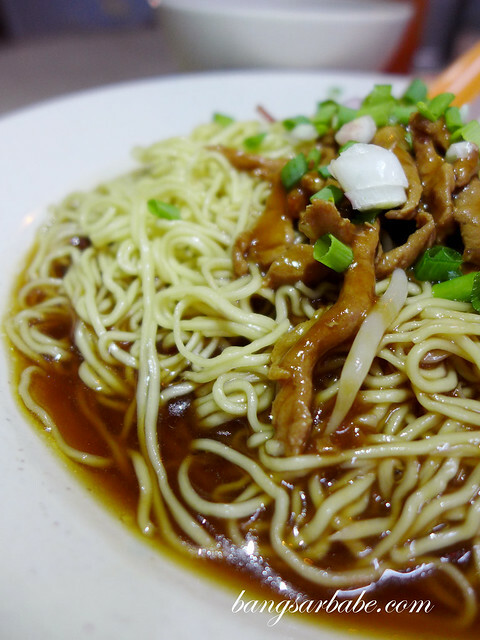 Nothing like the dark sauce wantan mee and fatty char siew I’m accustomed too. 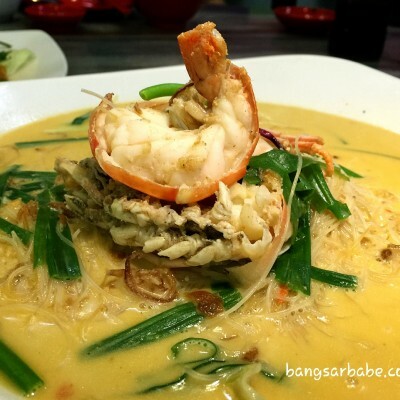 And since it’s Ipoh, beansprouts are a must and these were fat and crunchy. 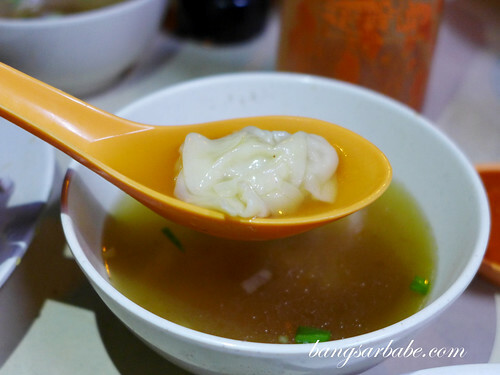 I didn’t care much for the wantan soup though, as it tasted very ordinary. Verdict: I liked the texture of the noodles, but wasn’t entirely impressed with the overall taste.